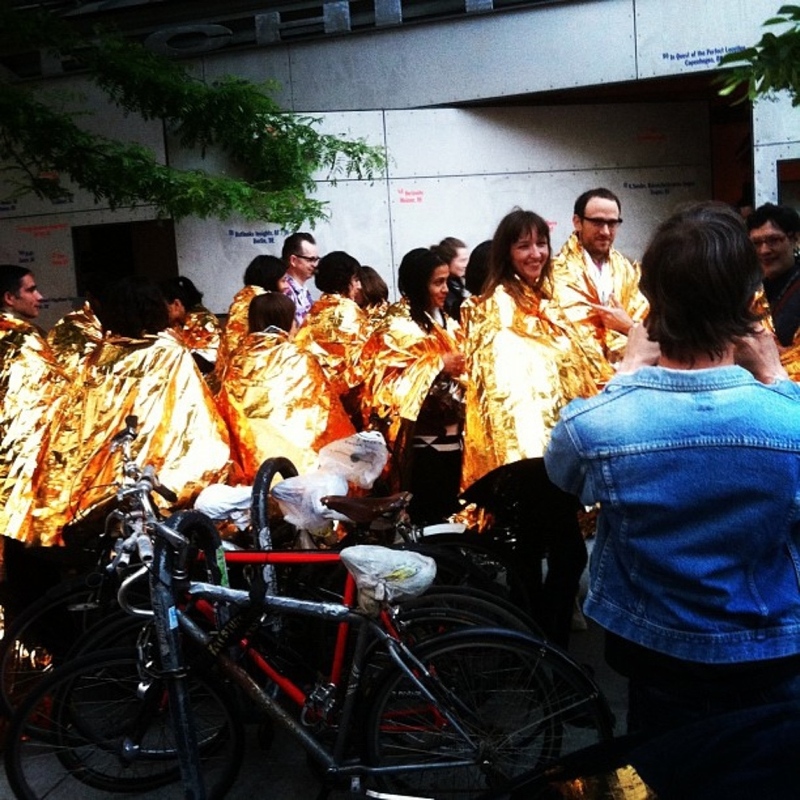 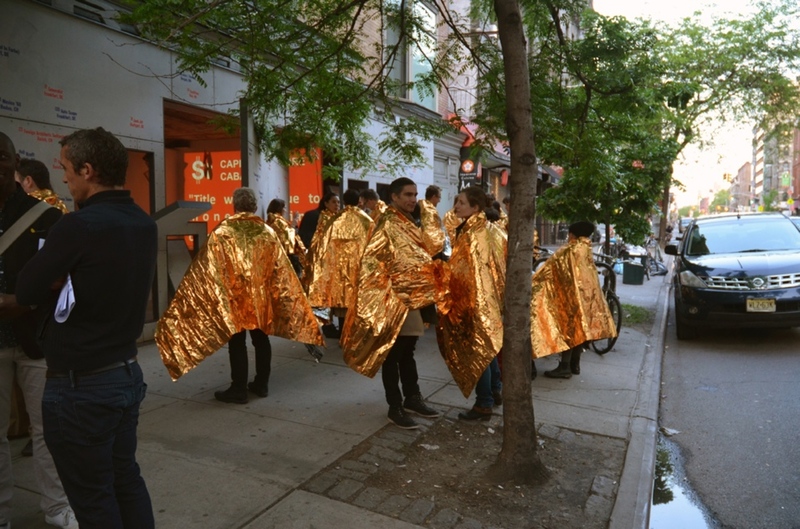 Between the open walls of the Storefront for Art and Architecture and Kenmare Street in New York, audience and passerby were embraced in security blankets forming a sea of gold bodies. 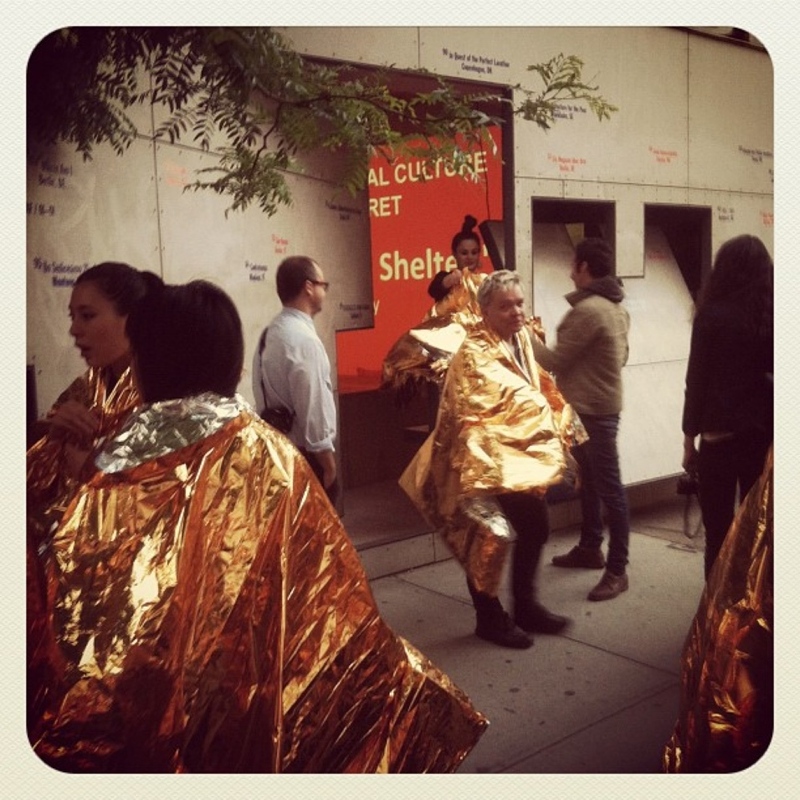 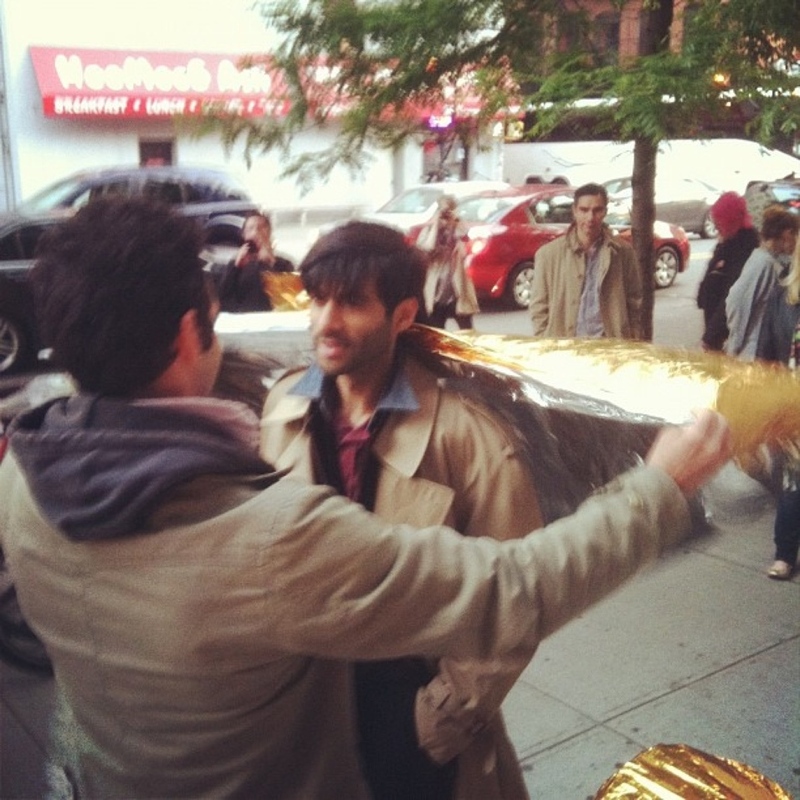 This performance was part of the Frieze Fair downtown night in 2012. 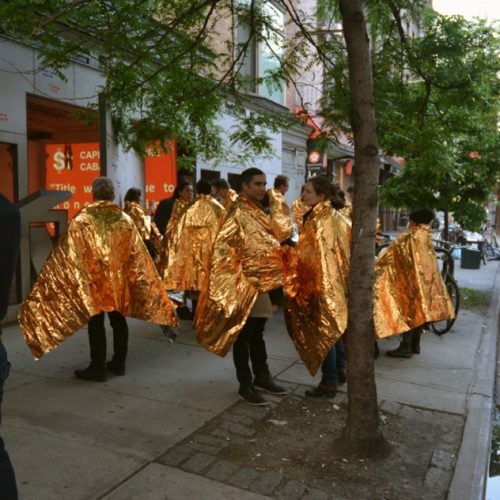 I hope to create a tension between the formal pleasure and material suggestiveness of the gold stack and its alternative value as a life saving fabric against the most primary obstacles.